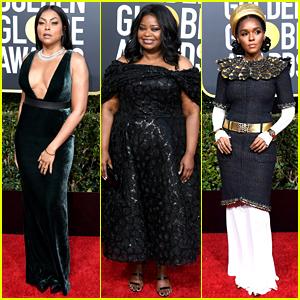 Taraji P. Henson, Octavia Spencer, and Janelle Monae bring the glam to the 2019 Golden Globe Awards! 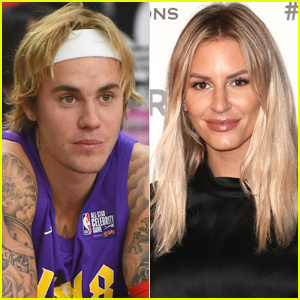 The 48-year-old Empire actress, the 46-year-old Instant Family star, and the 33-year-old “Make Me Feel” singer all stepped out for the event held on Sunday (January 6) at the Beverly Hilton Hotel in Beverly Hills, Calif. They were joined by Master of None star Lena Waithe, who brought along fiancee Alana Mayo. All four of them served as presenters during the show. Octavia was an executive producer on Green Book, which won Best Musical or Comedy. FYI: Taraji is wearing custom Vera Wang with Roberto Coin jewelry. Octavia is wearing custom Christian Siriano with Lorraine Schwartz jewelry. Janelle is wearing Chanel with Le Silla shoes. 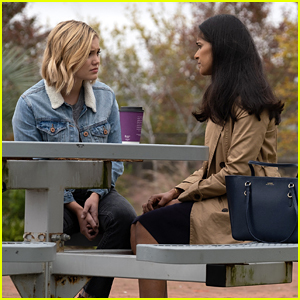 Lena is wearing Prada with Jason of Beverly Hills jewelry. Alana is wearing Prada. 'Aretha! A Grammy Celebration for the Queen of Soul' Performers & Host Revealed! Aretha Franklin is getting a superstar tribute! 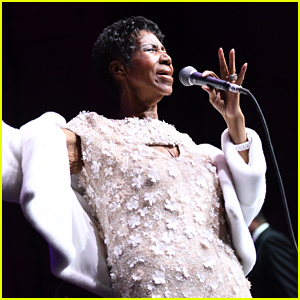 The late Queen of Soul will be honored by CBS, the Recording Academy, AEG Ehrlich Ventures and Clive Davis with Aretha! A GRAMMY Celebration for the Queen of Soul. The special will include performances from Yolanda Adams, Shirley Caesar, Alessia Cara, Kelly Clarkson, Common, Celine Dion, Jennifer Hudson, Alicia Keys, John Legend, Patti LaBelle, BeBe Winans, Brandi Carlile, Chloe X Halle, H.E.R., Janelle Monáe and SZA. Tyler Perry will host the night, with more performances to be announced in the coming weeks. The live concert taping is on January 13, 2019, at 6:00 p.m. PT at the Shrine Auditorium in Los Angeles and will be broadcast later in 2019 on CBS. For ticket information, click here. Steve Carell and his Welcome to Marwen co-stars step out for the premiere! The 56-year-old The Office star attended the event held at ArcLight on Monday (December 10) in Hollywood. 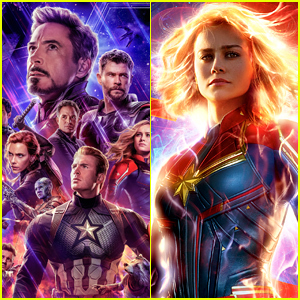 He was joined by his co-stars Diane Kruger, Gwendoline Christie, Leslie Zemeckis, Leslie Mann, Janelle Monae, Merritt Wever, Stefanie von Pfetten, Neil Jackson, Nikolai Witschl, Patrick Roccas, and director Robert Zemeckis. 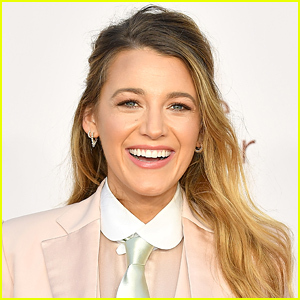 Also there to show their support were Steve‘s wife Nancy Carell, Leslie M.‘s husband Judd Apatow and their kids Iris and Maude, as well as Christopher Lloyd. In Welcome to Marwen, a victim of a brutal attack finds a unique and beautiful therapeutic outlet to help him through his recovery process. Watch the trailer here, and don’t miss it when it hits theaters on December 21! FYI: Diane is wearing Ralph & Russo couture with Gianvito Rossi shoes and Anna Sheffield earrings. Janelle is wearing a Wolk Morais outfit, Chloe Gosselin boots, a Cushnie clutch, Atelier Swarovski earrings, and a Stephen Webster ring. Leslie M. is wearing Zac Posen with Irene Neuwirth jewelry. Gwendoline is wearing Miu Miu. Alicia Keys, Ellie Goulding, & Janelle Monae Step Out for Billboard's Women in Music 2018! Alicia Keys is all smiles on the red carpet as she arrives at the 2018 Billboard’s Women in Music Event on Thursday night (December 6) at Pier 36 in New York City. The 37-year-old musician looked cool in an all red ensemble and black, wide-brimmed hat as she was joined at the event by fellow songstresses Ellie Goulding and Janelle Monae. Other stars at the event included Dua Lipa, Cyndi Lauper, Kacey Musgraves, Ashley Graham, Grace VanderWaal, Anderson .Paak, Hayley Kiyoko, Lauren Jauregui, and St. Vincent. FYI: Janelle is wearing a Gareth Pugh suit. Grace is wearing a Leilou by Alex outfit and Ann Taylor shoes. Ashley is wearing Stella Luna heels. Ashley is wearing a Christian Siriano outfit, Stella Luna shoes, and Eva Fehren jewels. Kacey is wearing a Brandon Maxwell dress, Christian Louboutin shoes, and an Edie Parker clutch. Dua is wearing an Alberta Ferretti outfit. John Krasinski & Janelle Monae Get Honored at Smithsonian Mag's American Ingenuity Awards! John Krasinski is dapper as he hits the red carpet at the Smithsonian Magazine’s 2018 American Ingenuity Awards held at the National Portrait Gallery on Wednesday (December 05) in Washington, DC. The 39-year-old A Quiet Place actor-writer-director was joined at the event by fellow honorees Janelle Monae and John Leguizamo. Deemed “the Golden Globes of Intellect,” the American Ingenuity Awards honor individuals who are transforming American culture across nine wide-ranging categories: Education, History, Life Sciences, Performing Arts, Physical Sciences, Social Progress, Technology, Visual Arts and Youth. Krasinski got honored for Visual Arts, Monae for Performing Arts and Leguizamo for History. Chrissy Teigen and John Legend looked so chic while attending the Glamour Women of the Year Awards! The couple stepped out at the event, where Chrissy was being honored as one of the Women of the Year, on Monday evening (November 12) in New York City. Other attendees at the event included models Karlie Kloss, Coco Rocha and Ashley Graham. They were also joined by Janelle Monae, who was honored as another one of the Women of the Year. “I remember a few years ago coming to this event and being so overwhelmed by the stories these women were telling. I was like, ‘Man, I have so much work to do—I wonder if I’ll ever be here.’ And to be here is a dream,” Janelle said while on stage. FYI: Karlie is wearing Brandon Maxwell. Janelle is wearing Jean Paul Gaultier. Coco is wearing Christian Siriano. Ashley is wearing Christian Siriano with Nicholas Kirkwood shoes. Chrissy is wearing Alevi Milano shoes. Guests sipped on Kim Crawford Wines. 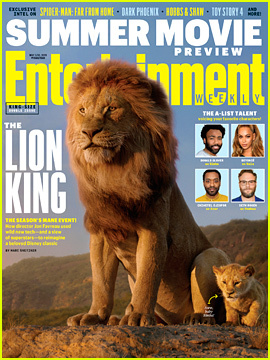 Disney's 'The Lion King': See Brand-New Photos Here!